You're officially a patron and will receive one very thankful virtual hug. Also, you'll have access to my patron-only feed for blog posts and picture updates along the way. Some other updates to come. Possible drawings for patrons only for paintings or prints. Yes this is our pic, we are those guys. You'll receive access to an unlisted painting for your eyes only, plus all previous rewards. If possible one original oil painting every year as a thank you! You get the cred. Seriously, your name will get in the credits (if you do not mind, anonymous is okay too) as a huge thank you being on my team, plus all previous rewards. No matter how busy I get you will get your own painting made just for you every year! Stuff is on the way! At this level, you'll get a patron-only painting, plus all previous rewards. A custom thank you video on YouTube showing me painting your custom piece. You really are a superstar! I could never thank you enough for helping me further my career. 25% discount on all paintings, plus all previous rewards. 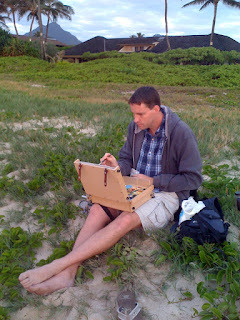 I will paint your pick of favorite destination for a landscape, portrait, or still-life arrangement. Another possibility is the creation of a custom wood sculpture which is a very rare thing for me. I will even come to you if possible or host you here at the studio in Vermont.